In September of 2012, a debtor requested a line of credit with the Golden Nugget in Atlantic City. When the credit line was given, it was then used to gamble with the Golden Nugget casino located in Atlantic City. He got advances on this line of credit before August 2015 and he repaid all of these advances in a timely fashion. He later went on to receive his initial line of credit from the Las Vegas Golden Nugget location in February of 2015, after a representative approached him and recruited him to do so. 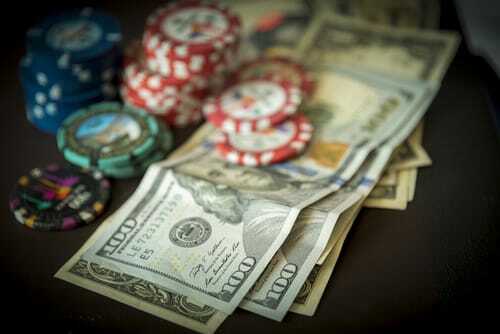 He was given $10,000 in chips on a promotional basis to gamble at that casino. That line of credit was used up to eight times, borrowing $100,000 to use at the Las Vegas location and the defendant did pay them back. Withdrawals were made from joint bank accounts with the defendant and his wife in order to repay some of the debts owed to the markers for his gambling advances. In August of 2015 when the defendant informed his wife regarding his recent gambling totals and his wish to sell particular pieces of real estate that they own together to pay off some of the debts, the wife refused to agree to this proposition and announced her intention to file for divorce. The day after she filed for divorce, she withdrew $325,000 from one of their joint bank accounts and took another $35,000 a few days later, without the defendant’s knowledge. According to the wife, she took out these funds in order to prevent the defendant from using them to pay the debts owed on the outstanding credit advance and to stop future gambling. A special master was added in their divorce to evaluate the equitable distribution and requested that the gambling debt is attributed to the husband alone because it was incurred alone by him. In the final decision distributed by that master in December of 2015, the great majority of marital assets were given to the wife and the defendant took on sole responsibility for the gambling debt. On January 27th of 2016, after the divorce was final, the Golden Nugget Las Vegas sent a notice to the defendant, explaining that his outstanding balance needed to be paid within 10 days or it would be referred to the District Attorney in Clark County for criminal prosecution. The defendant filed a Chapter 7 petition the same day.